According to industry sources, the follow up to the HTC Butterfly, the HTC Butterfly S, will see the light of day by the middle of this month. 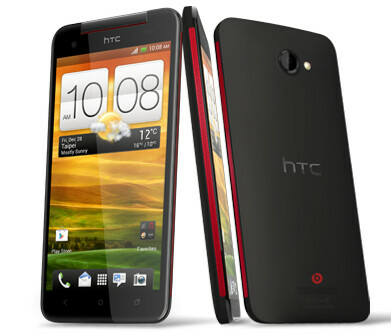 Similar to the Verizon exclusive HTC DROID DNA, the HTC Butterfly has a 5 inch 1080 x 1920 FHD screen offering a 441ppi pixel density. Those insiders say that the HTC Butterfly S will not be the same model as the HTC Butterfly 2 although both are expected to add certain features belonging to the HTC One such as BlinkFeed, an UltraPixel camera sensor, a microSD slot and a larger battery. It will also have an extra gray color option. 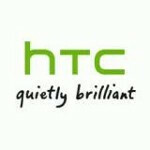 Expected to launch in the middle of next month is the HTC M4. This is a codename, just as the HTC One was the M7. The M4 has the same design as the HTC One but with downgraded specs such as a 4.3 inch display. It will also be equipped with a dual-core processor, 2GB of RAM, stereo speakers, Sense 5.0 and Android 4.2 installed. Not a bad assortment for a company that is allegedly in free fall. 8.7 ultrapixel would be nice. Why....but anyway the thing I hate about HTC is there names...Samsung have galaxy..lg have optimus...Sony have xperia...what do htc have? HTC One X, One X+, One XL, One S, One V, One. HTC Desire X, Desire S, Desire C, Desire 600. Are you dead? Don't forget the EVO 4G, EVO Shift 4G, EVO 3D, EVO Design, and the EVO 4GLTE. HTC is too late this/arm/s4 will be irrelevant after Computex 2013, everything is about to change. AMD is also revealing new CPUs for desktops. They are definitely on track :) So glad! They should be preparing intel devices or they are going to die. A prototype silvermont cpu I was able to use scored 62500 (the version was quad core 2ghz, they go up to 2.5ghz at best, power savers have undercloking features and are dual core + hyperthreading) in antutu while getting the same battery life as an a15 cpu. Trust me do not buy arm they are about to get destroyed by intel. There are a few manufacturers already on board with intel, one of them is Samsung another is Acer (only tablets for now), and last but not least Sony has been thinking about releasing some intel devices under the Vaio brand. I never thought I would meet an intel fanboy..... My Snapdragon S3 on my GS2 runs as smooth as butter on everything (MC4 to UI) ... My point: ARM chips aren't that slow. Release 4-5 1080p smartphones at once and people won't buy even one! These devices will fail don't worry. These devices won't fail, don't worry. Motorola has a surprise for you sir. Over 6 millions HTC One are sold until today and you are saying that the company failed?! That's what I meant to say. I don't know what they are thinking? how about 13 megapixel, with ultrapixel technology??? Close to impossible, unless HTC makes the phone thick. To make 13MP with each individual pixels bigger, you need a sensor almost equivalent to 808 PureView in size. Why does smaller screen HAVE to mean smaller specs? I know there is demand for top of the line specs in a Razr M sized phone! If rumors about the M4 are true, this will be on the upper end of midrange: 720 screen, 2 GB RAM, 16 GB storage. They couldn't make it too similar without cannibalizing One sales. Well, I don't care if its processor is dual core ore quadcore. If they include boomsound, the ultrapixel camera, 2 GB RAM and a 720 p screen at that size, it's going to be the closest to a palm friendly high end android phone ever. If it even has the alumium body, this thing will be great. I would really consider that phone, even though I have a One... But you're right, the specs are "smaller". I'm confused, where does the T6 fit into all this? maybe the T6 is the butterfly 2?